Travelling is my passion. I decided to explore some of the best tourist spots of South India. I was amazed to see the beauty and culture diversity around South India. If you are planning to visit India or tour top destinations in South India, you should read this blog. I have penned down my experiences in form of blog.Tirunelveli.today, travelplanetindia.com are some best websites where you can get sufficient information about the popular place – Tirunelveli, the Oxford of South India. When you have energy, money and time, ensure to spend your times by exploring and traveling. It is all possible only at your young age. Ensure not to miss your young age by leading a usual nine to five life. Whenever you get time, try to travel. Travelling offers you lot of peace, knowledge and even experience. 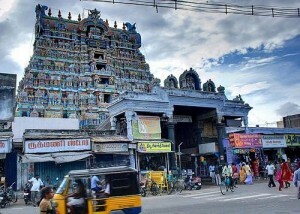 It is one of the popular places in South India. It is located in Karnataka state. It is famous for wildlife sanctuary and fishing camps. You can indulge in various adventurous activities like rope walking, trekking, river rafting and kayaking. All these are possible by enrolling at the Bheemeshwari Adventure Camp. There are lodges, where you can night stay and wake up to the sounds of more than two hundred species of exotic birds. You can encounter amazing variety of animals in Bheemeshwari. The camp is famous for Mahseer fishing. It is the largest fish game known to man. If you are tired of watching people fishing, you can try your luck with fishing. I am sure you can catch plenty. Goa is one of the must-visit destinations in South India. It has perfect combination of beach, adventure, fun, blue waters, tasty food, and relaxed environment. It has numerous restaurants and beaches all over the city. If you are looking to taste yummiest and freshest sea foods, you should visit Goa. I am sure you will feel mesmerized by the beauty, taste and climate of this tiny small town. It is a favorite tourist spot for foreign travelers. There are plenty of shopping malls and areas where you can buy clothes, handicrafts and traditional items at best price. Goa has something special for all people. Ensure to participate in the food festivals, try some shots at local pubs and if possible visit during the Sunburn music festival. It is one of the happening and popular festivals of Goa. If you are interested in quad bike riding, explore rocky terrains that run for about three kilometers. If you have limited budget and wish to indulge in adventurous trip, you need to experience scuba diving and snorkeling at the Andaman and Nicobar Islands. This place houses large collection of marine life that brushes your ears as you see and feel amazed by the blue waters. Discover the beauty of aquatic world in its true and natural form. Most people think that Goa has the best beaches in India. But, I would say Andaman and Nicobar Island also has the beautiful beaches. 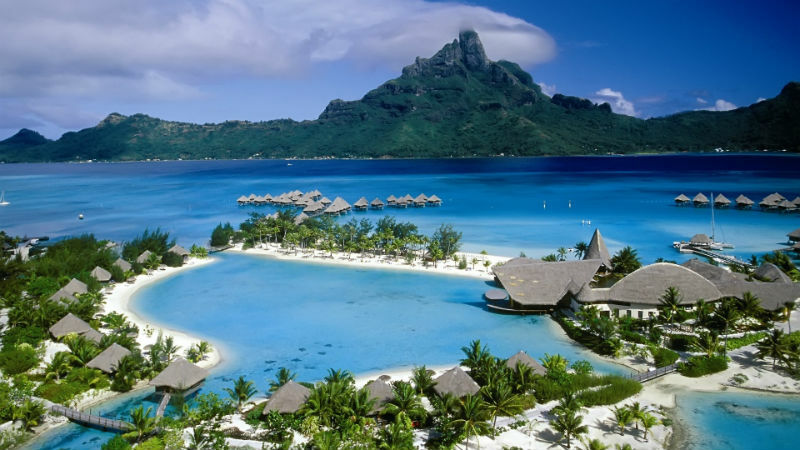 You will feel amazed to view white sandy shores and clear azure waters of Andaman beaches. Scuba diving and snorkeling would offer you a lifetime experience. It looks like different world far from your present. Pondicherry has a complete different atmosphere. It is amazing to experience relaxed and peaceful attitude and houses colorfully painted in French architecture and style. It is a place where you would breathe in and fascinate a unique feel. It makes for excellent backpacking haunt. Pondicherry is a popular tourist destination because of its temples, churches, colonial era buildings and off course beaches. Most offbeat and mainstream travelers ensure to visit Pondicherry while on their trip to South India. One of the highly visited tourist destinations in Tamil Nadu is Tirunelveli. It has some of the highly preserved temples constructed by the Pandya rulers. It has several natural wonders and attracts local and foreign travelers. Here listing the must visit tourist attractions spots in Tirunelveli. It is located 56 kilometers from North Tirunelveli. Adithabasu Vizha is a popular chariot festival celebrated during July. During this occasion, hundreds and thousands of people visit Tirunelveli. It is the right time to explore and discover the real beauty, tradition and culture of this town. It is popular referred as South Spa. 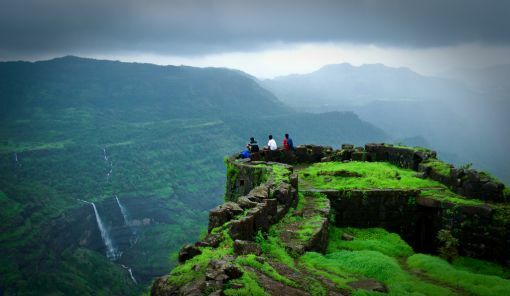 It is located on the Western Ghats at a height of around 170 meters. It does not only serve as a tourist destination but as a popular health resort. It is said that the waterfalls contain high medicinal properties. It can cure several physical ailments. People in and around South India, ensure to visit Kuttralam during summer holidays. It is a blissful experience to take bath after a powerful herbal oil massage at Kuttralam. It rejuvenates your mind, body and soul. You will feel like a new healthy person. It is close from Tirunelveli. It is located at a distance of 60 kilometers. Papanasam is popular for Chitrai Vishu festival. It is celebrated during April. Thousands of people gather here during the festive season. It is popular for four hundred years old Holy Cross Church. It is said that it has certain remains of True Cross from the Holy Jerusalem. Holy Cross Church is among the few churches that are connected with St. Francis Xavier in India. Other popular tourist attractions in Tirunelveli include Thuthukudi, Mundanthurai Wildlife Sanctuary, Kalakadu Wildlife Sanctuary, BharatharOvari, Kunthakulam Bird Sanctuary, Agasthiyar Falls and Temple and Thiruchendur. South India sure has many places to explore in the midst of nature. This has added a few more destinations to my list of places to visit. Spring time would be the best to visit places in Kerala.